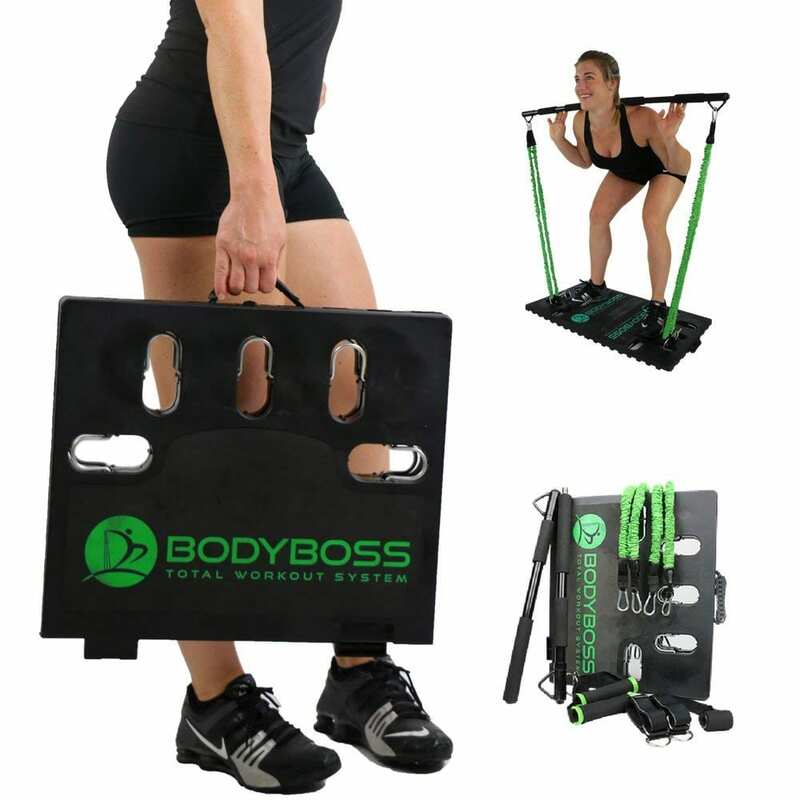 The BodyBoss 2.0 was designed to simulate all the bulky equipment and machines you see at the gym and combine them into one revolutionary workout concept – the BodyBoss 2.0, a portable gym. BodyBoss Portable Gym is the World’s 1st home gym you can take anywhere. will help you learn your BodyBoss 2.0, teach you exercises and activate your body. You will receive the URL to this link off the start up 1 page guide in your package. When designing the BodyBoss workout product we wanted to make sure that it was lightweight & compact, but still versatile enough to simulate the gym anywhere. By allowing this any exerciser who gets the BodyBoss Gym will be able to reach their goals, workout more consistently each week & perform any gym exercise they want anywhere they take the Fold Up VectorFit Platform and cloth covered resistance bands.